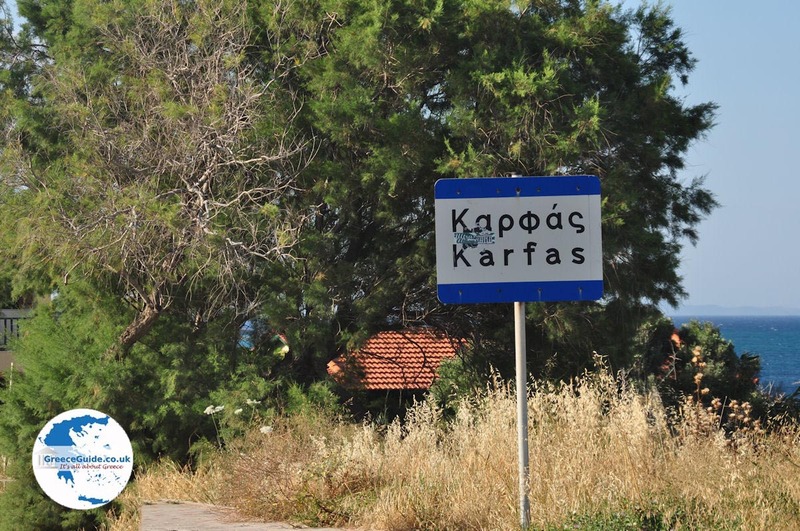 Karfas. 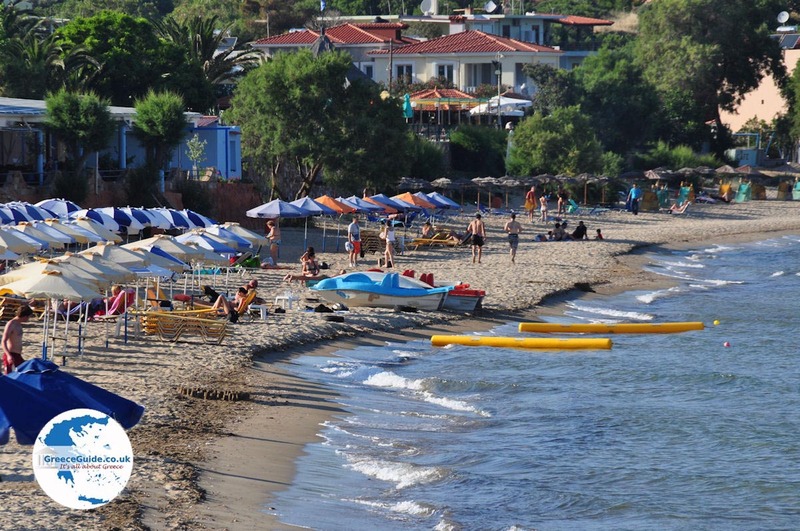 Karfas is the most popular resort on the Greek island of Chios. 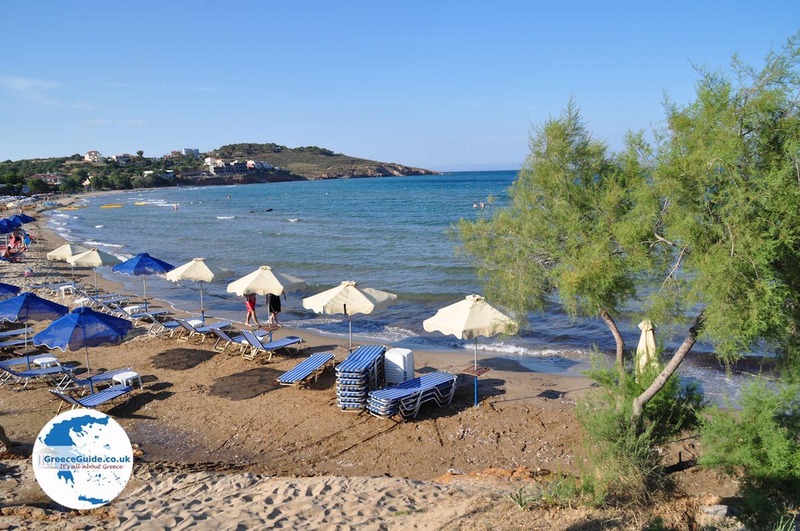 Located in a beautiful bay, about 6 kilometres south of Chios Town and only 3 kilometres away from Chios Airport. 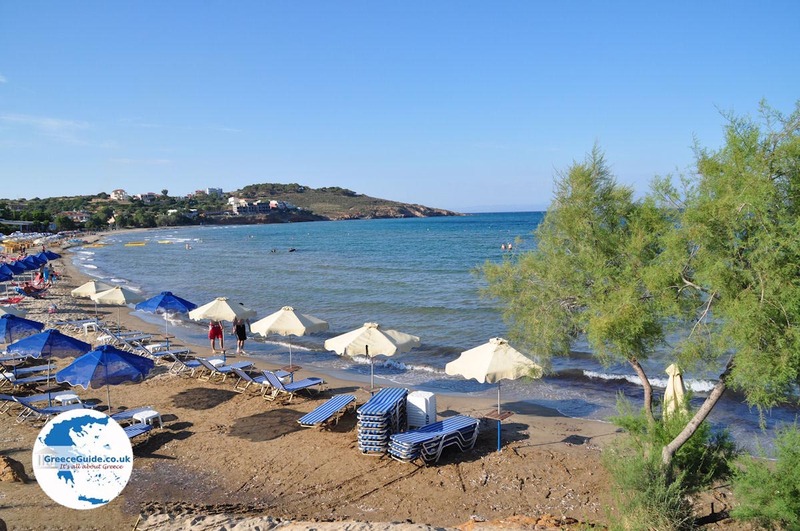 Karfas is very popular, because of the wonderful sandy beach. It is a beach without any rocks,plants or seaweed. It looks like a sand desert on the seabed. The water is very shallow, making it suitable for children. 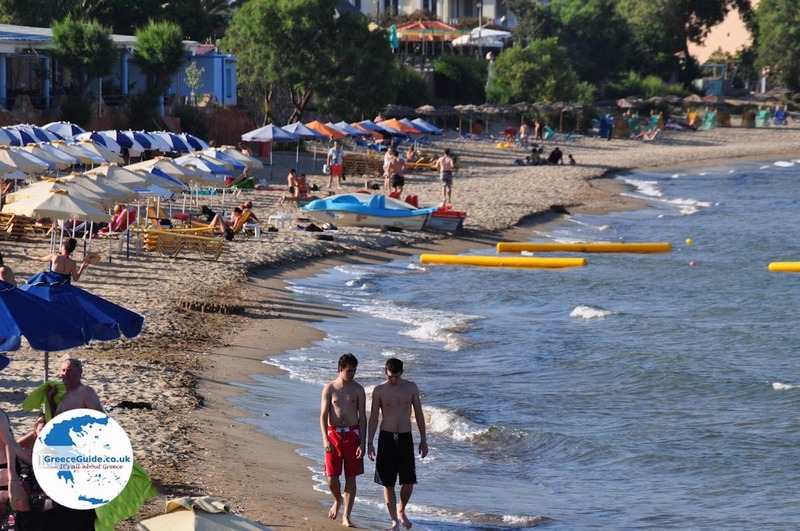 On the beach are all kinds of water sports and there are beach chairs and umbrellas for rent. The beach is very well organised and there are lifeguards present. 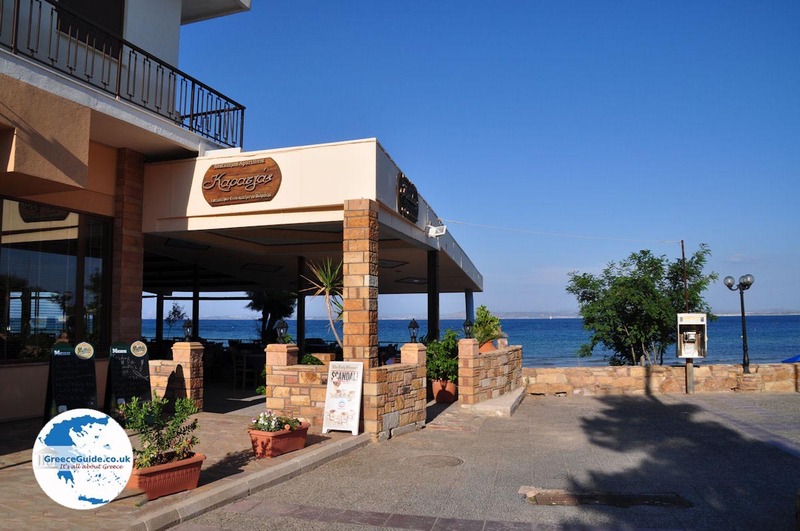 The people are very friendly and the food in the restaurants is good and not expensive. 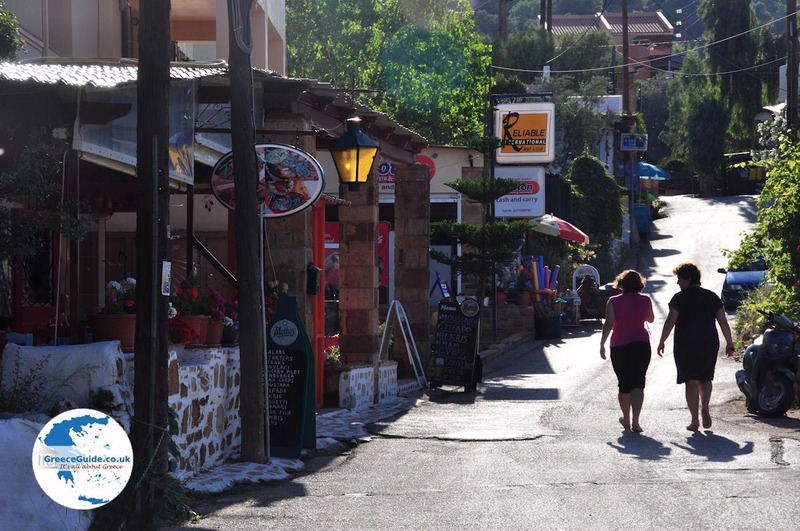 On the boulevard are several cocktail bars and all kinds of shops, restaurants and tavernas. 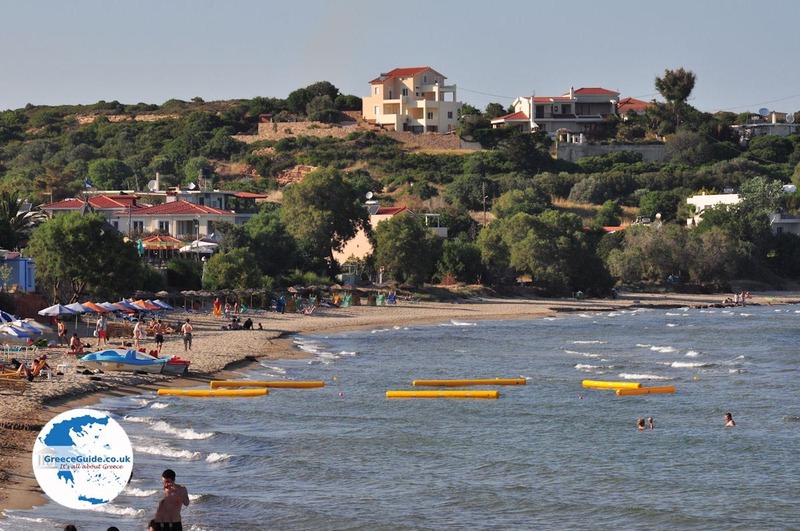 Karfas is a perfect base for excursions on the island, it’s location is fairly central. You can rent a car, scooter or bicycle and explore the whole island. 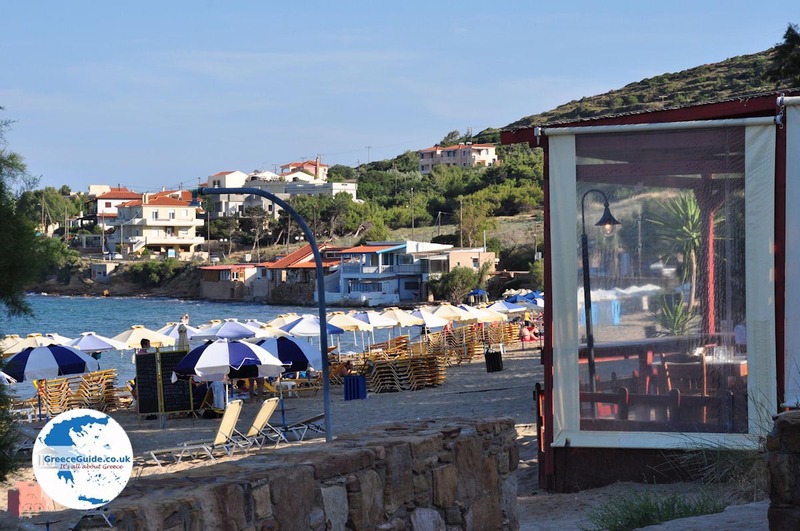 Also in Karfas is an ATM, so you do not need to bring much cash when you're here. 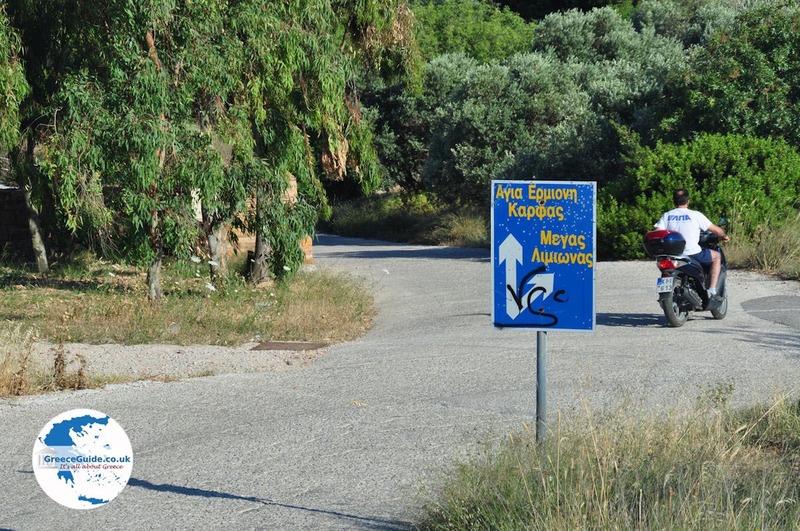 The bus brings you to Chios Town (and back!). 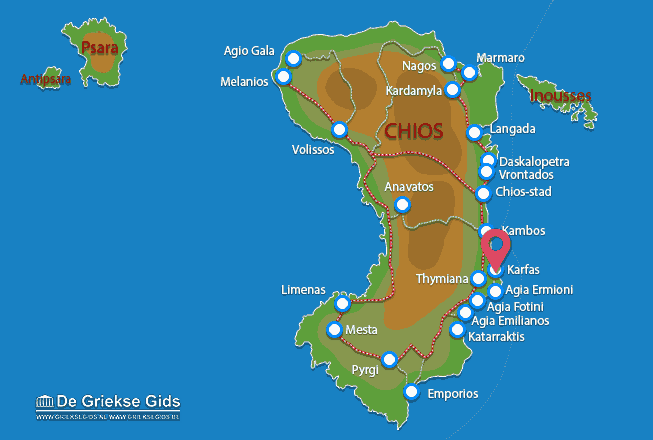 Chios: Where on the map is Karfas located?